Patricia Kamuriwo, the woman shot during this week’s protests whose image circulated widely on social media in Zimbabwe is confirmed to be recovering and in good spirits. Zimbabwe Association of Doctors for Human Rights representatives said this today that the woman was operated on yesterday evening (16 January 2019) and that she was on her way to recovery. There were fears and news was spreading fast that the woman had died. However, ZADHR’s Edgar Munatsi and Norman Matara confirmed via social media that she is well. 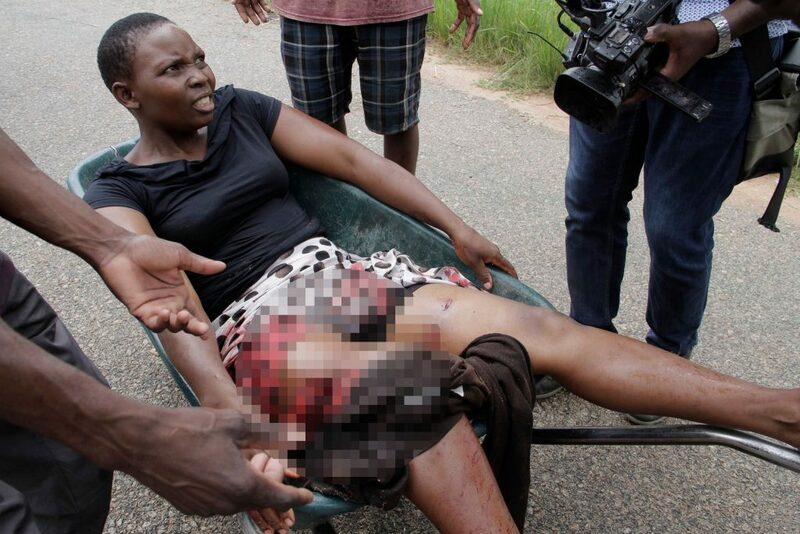 The woman was reportedly one of several people shot on Monday 14 January in Epworth after security forces responded heavily to protests in the residential area. Her deep and wide thigh wound attracted criticism to the security forces’ heavy handed approach. 5 people are said to have died in the skirmishes and the door to door raids by the security forces that has been going on since Monday. Women mean grace and peace , humility, and above all Godliness, in human life and society, be rest assured a curse is mounting on Zimbabweans and especially the generation of those responsible because these tragic developments.